Set in 26 acres, Kew Riverside is a prestigious riverside development of apartments, town houses & detached houses. Located on the south bank of the River Thames, we are situated between Kew Bridge & Chiswick Bridge. 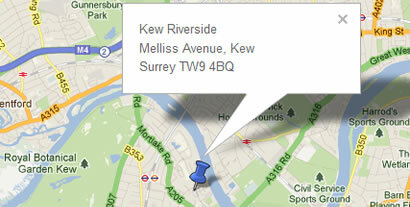 The staff here at Kew Riverside prides themselves on offering high levels of service. With 24hr concierge services and an in-house maintenance team on site, the estate management team is located in The Apex Leisure Centre and aim to provide comprehensive customer care services that are dedicated to the wellbeing of Kew Riverside residents. Should you require further information or assistance, please contact the Estate Management Office in The Apex Leisure Centre.